I choose some of Summoning Jutsu that I thought very incredible and only some of characters able to do this Jutsu. Gamabunta (Toad King) is the boss of toads that are summoned. 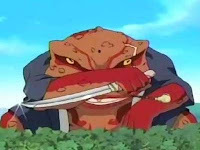 Gamabunta is a grumpy and highly apathetic character. He doesn't like to take orders from anyone, unless the summoner is highly talented and earns his respect. 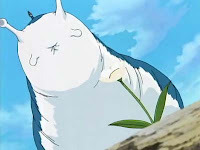 Katsuyu is the slug queen summoned by Tsunade. Katsuyu is quiet and more subservient to her master. 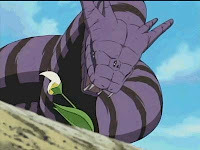 Manda is the king of snakes and is summoned by Orochimaru. Manda is very snobbish and prideful, believing himself superior to everyone, and while he does what Orochimaru asks, it seems to be only because he wants to. 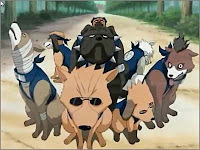 Ninken (Ninja dogs) are eight ninja dogs that Kakashi summons. All of the Ninken have a face-shaped design on their backs called Henohenomoheji. Ninken abilities : Tracking purposes, travel through the ground following the scent of their target, emerging when the target is found and holding them in place. 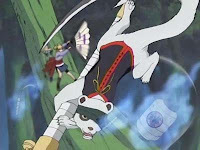 Kamatari is a small, seemingly one eyed, weasel holding a sickle with which it can cause a lot of destruction in a short amount of time. After it starts moving, it can't be seen by the unaided human eye. 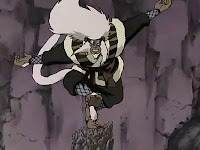 Enma (Monkey King) is the personal summon of the Third Hokage and king of the monkeys. Enma is fiercely loyal to Sarutobi, though he doesn't always approve of his actions. Don't worry if you wanna more from my post above about summoning jutsu, I tried to made the Summoning Jutsu Wallpaper. 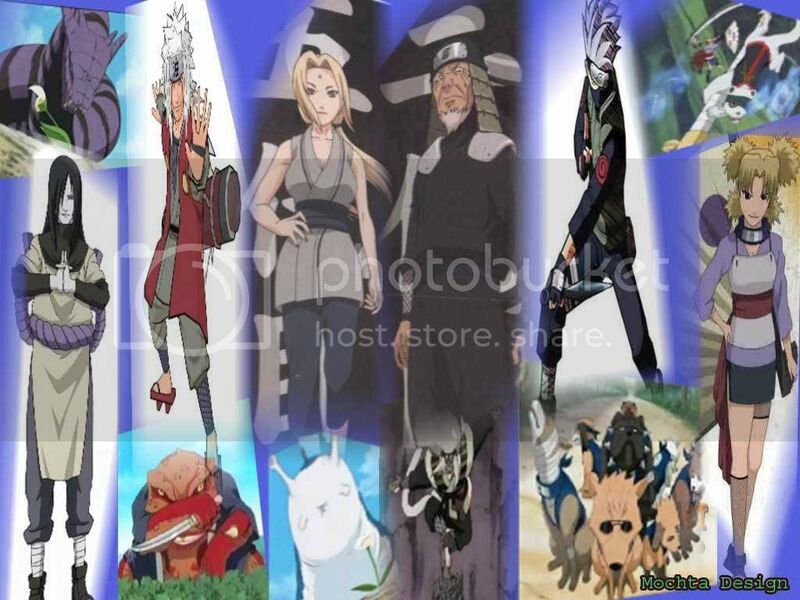 You could see the the summoners and animal that they had summoned in one image. Get that by clicking on image below.